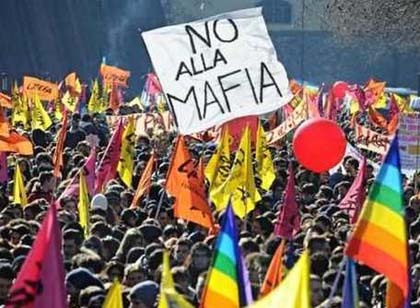 The network LIBERA – Associations, Names and Numbers against the mafias was founded on March 25th, 1995 with the purpose of involving and supporting all those who are interested in the fight against mafias and organised crime. Libera is currently a network of over 1,600 associations, groups, and schools committed to building up organisational synergies between the political and cultural local entities capable of promoting a culture of legality. Some of Libera’s concrete commitments are the law on the social re-use of assets that have been confiscated from organised crime; the education of democratic lawfulness promotion; the fight against corruption; the camps for anti-mafia education; the support of victims of the mafia and their families; the campaigns promoting social justice policies; and the projects on jobs, development, and anti-usury activities. A collaborative and “co-responsible” work of citizens, associations, social cooperatives, movements, schools, trade unions, dioceses, parishes, and scout groups are involved in engagement against mafias, corruption and other criminal phenomena. Moreover, this network advocates for social justice through continuous research for truth, protection of rights, transparency, and a legal system grounded in equality. In order to achieve the goals outlined in our mission, Libera is composed of several specific sectors which work on different areas of social expertise. These include, but are not limited to, the “social antimafia,” promoting rights, education of legality and peace, independent information, culture, and a general condition of social justice. 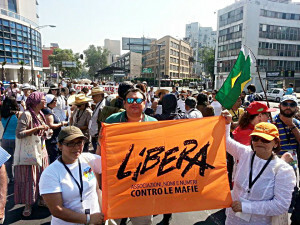 Among the other sectors, Libera International works in particular for the creation and strengthening of transnational networks in the frame of the social antimafia. It represents a new approach for most of the non-Italian organisations with which LIBERA works: new strategies based on culture, education, promotion of human rights and social justice to react to the terrible impact caused by criminal activities and mafia-like culture. These phenomena do not just occur within Italy, but consistently across the world. 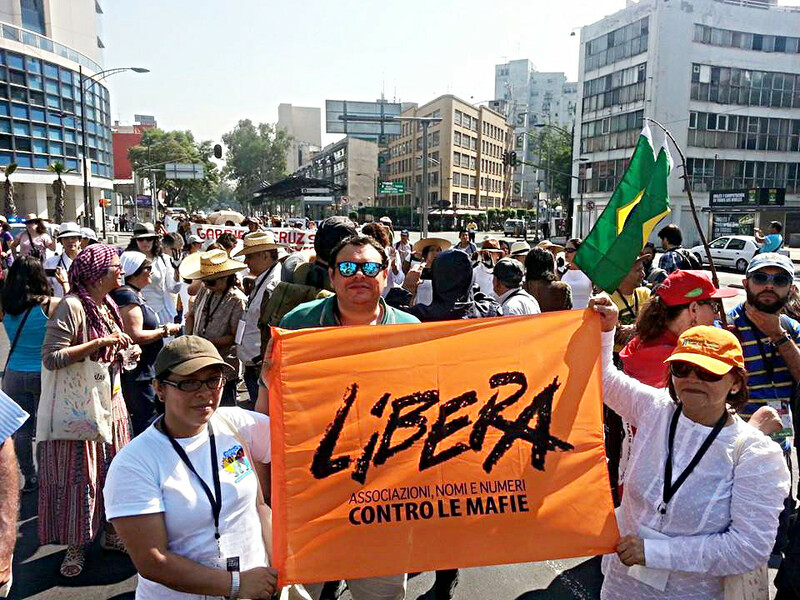 LIBERA International’s action responds to the features of mafias in the world: they don’t follow the path of geographical borders, and they spread not only as “criminal organisations,” but also hidden in legal, economic, or political activities. This sector works in Europe thanks to Libera Europe and the antennas founded by the Italians living abroad and organised in local entities. The work in Latin America is possible thanks to the ALAS – América Latina Alternativa Social network, gathering together 40 organisations from 12 countries from all over Central and South America. Furthermore Libera International is committed to raising awareness and diffusing knowledge and information in Italy about what happens abroad in terms of illegal phenomena and their several legal and illegal, national and transnational connections. On the other hand, its intention is to introduce experiences and narratives of relatives of victims, activists, and civil society representatives from other countries. W H A T A R E W E D O I N G ? Click on the links to discover more. The achievement of the Special Consultative Status in the UNODC (United Nations of Drugs and Crime) allowed Libera International to follow the actions of the United Nations body in charge of hindering drug trade and crime. This was and still is a useful opportunity to follow closely the actions that this agency of the United Nations puts in place and to establish relationships with non-governmental organisations that marginally take part in the meetings of the assemblies of the Member States. Currently Libera is part of the Convention against Transnational Organized Crime (UNTOC) and against Corruption (UNCAC). According to the Swiss newspaper, The Global Journal, Libera is one of 100 most important NGOs in the world, the only Italian organization in the ranking. Moreover, the same newspaper awarded a special mention to Libera in regards to the international contest GLOBAL+5 for the campaign “Peace for Mexico, Mexico por la Paz”. The European Directive on Confiscation – After years of advocacy carried out by Libera and the Flare network, on the 12th of March, 2012, the European Commission proposed a new directive in order to achieve a more efficient and widespread confiscation of assets from organised crime in every EU country. This proposal on confiscation contains a series of measures aiming at protecting the legal economy from crime infiltration, which is also targeted by the Europe 2020 strategy.